If you mess with home improvements, chances are, you have nailed something and also, smashed your digits once too many time. 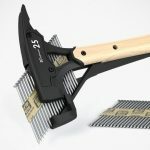 Well, if so, you may want to check out Safety Nailer Magnetic Nail Holder if you plan on doing more nailing in future. Safety Nailer Magnetic Nail Holder is exactly what it says it is. 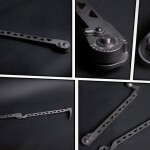 It is a magnetic nail holder that holds the target nail and protects your fingers from the wrath of the hammer. Not only that. It is also designed to set up the nail straight and therefore ensuring that it never gets bent due to awful angle of impact. I handle hammer and nails quite a bit and let me tell you this: it is one heck of hair pulling experience. I guess I am not technically inclined. I seldom strike my digits though, but the bent nails are something happen very often. Man, it was frustrating! 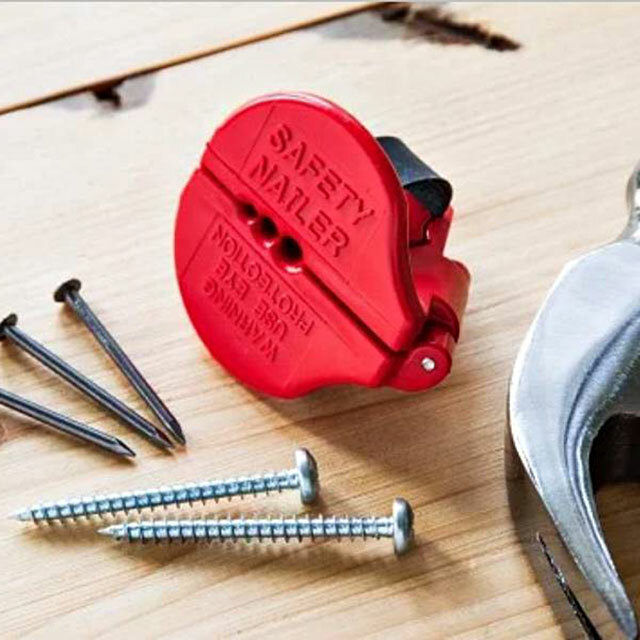 If Safety Nailer Magnetic Nail Holder works as advertised, it should save anyone who does nailing from the unnecessary frustration. It even works as a starter for screws too, but that, obviously, is only applicable if the screws are long enough. 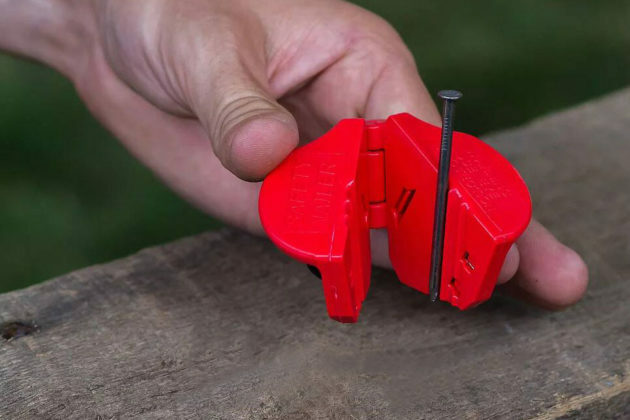 You can argue that you could do the same with a pair of pliers and save yourself $9.95, but that wouldn’t be as fluid – especially if you are as clumsy as me with non-spring-loaded pliers. 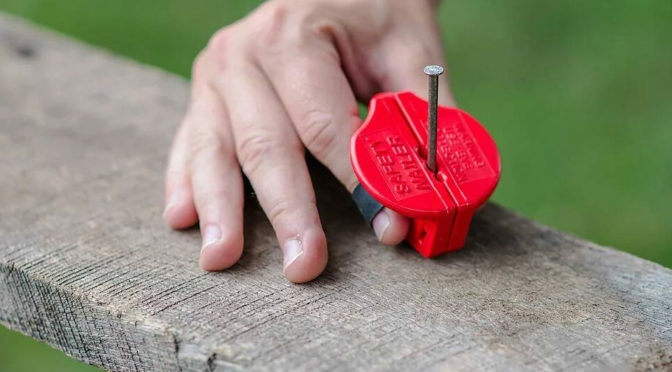 Speaking of spring-loaded, Safety Nailer Magnetic Nail Holder features elastic bands that let you wear it on your fingers (like a musical finger clapper) and the impact resistant ABS plastic is designed such a way that it completely shields your precious digits from being the target of the hammer on your uncooperative other hand. I like how neodymium magnets are used to further ensure the nail stays where it should and also the thoughtful details of 3 different size nail groves to accommodate different size nails. 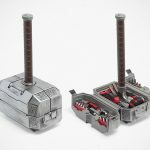 Thor could have nailed Thanos head if he’d use this. Just kidding. That he had an axe and also, he used no nails. 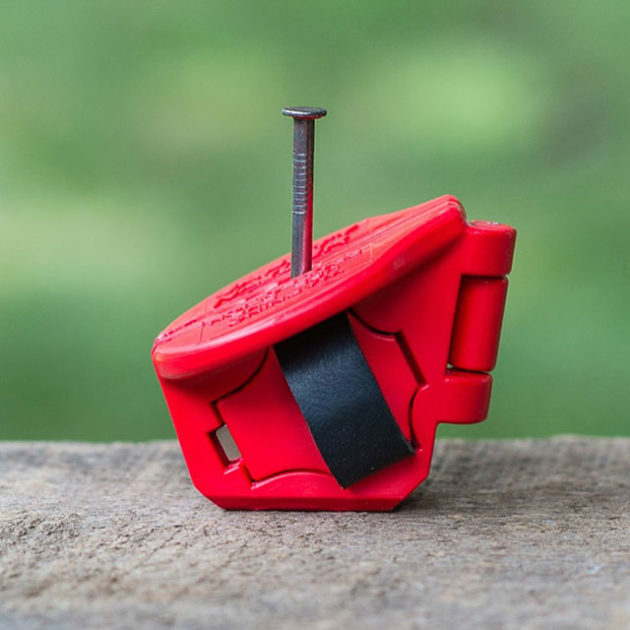 You can find Safety Nailer Magnetic Nail Holder on The Grommet going for $9.95, or if you desire, on Amazon for $9.99. See it in action in a video below.